There is a curious contradiction that exists when it comes to the idea of cooking and baking. Though women, by popular opinion, are considered to be fit for the kitchen, most of the renowned chefs across the world are men. The latter, by no means is an absolute inference, but living in a patriarchal society, this often-cited observation is not surprising. Thankfully things are changing now, and we are all glad with the increased visibility of women in different professional fields. 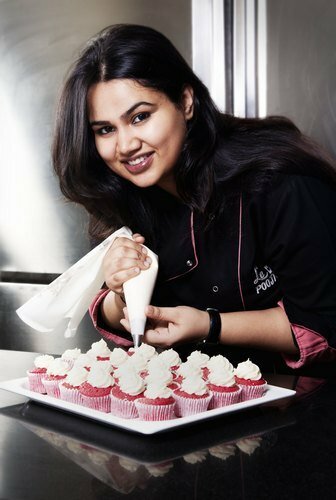 Such a change is also noticeable in the baking industry and to a large extent, Pooja Dhingra is responsible for it. 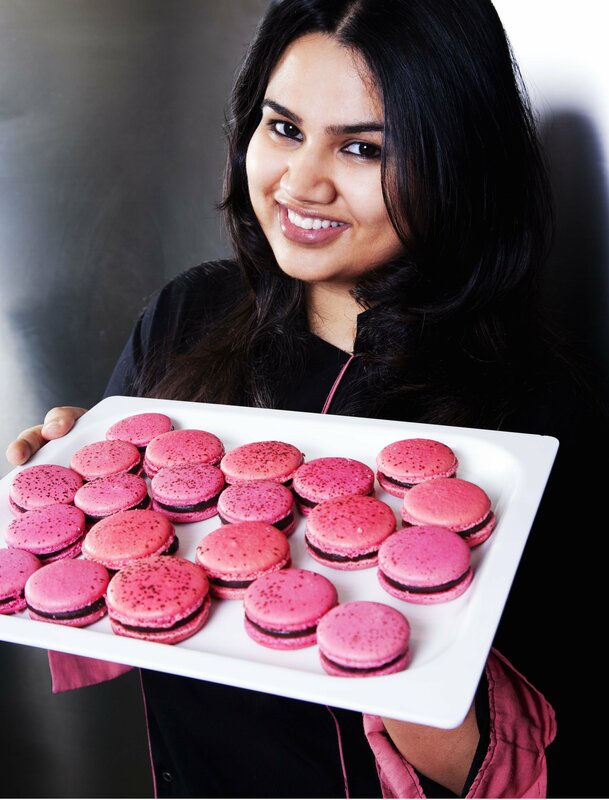 She is the force behind the immensely popular Patisserie chain, Le 15 Patisserie in Mumbai, and her decision to make macarons changed the pastry industry. Born in 1986, Pooja's initial career choice was to become a lawyer. But she was quick to change her mind. “I thought I wanted to be a lawyer and joined law school. That lasted for exactly two weeks. I realised that law wasn’t for me and moved to Switzerland to study hospitality management at Cesar Ritz Colleges,” she says. It was there that she was introduced to the magical world of macarons. “In all my 22 years, I had eaten enough pineapple cakes and Dutch truffle pastries to last me a lifetime, but never tried a macaron. That very weekend, I went to a confectionery boutique store, and queued up for 15 minutes to get in. Inside, there were rows of macarons in exquisite colours displayed on tables and in the fridge. I ate one, and I was hooked,” she says. 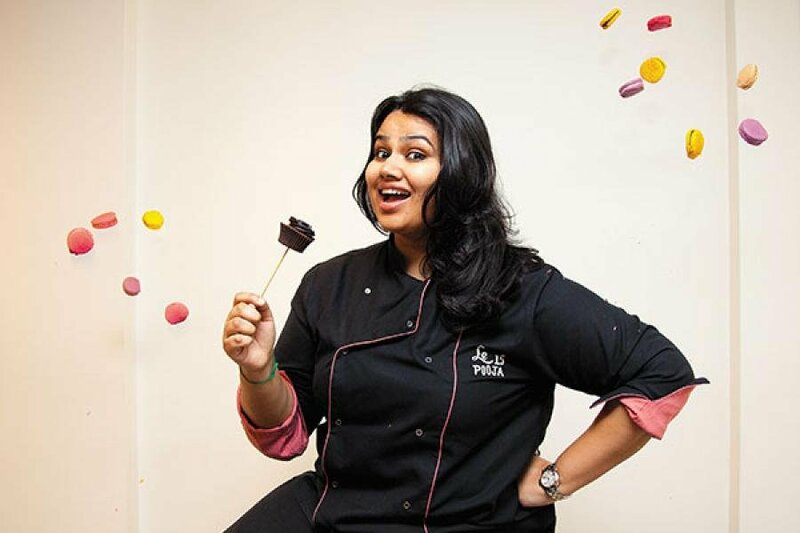 Pooja returned to India in March 2009, after passing out of Le Cordon Bleu, one of the finest culinary schools in the world, and she started testing her Parisian recipes in her mother's kitchen. But the geographical divide was too wide for her to cover. The hot and humid Mumbai weather often played spoilsport with the texture and consistency of her macaron shells, and the local ingredients — chocolates, cream, butter — did not meet her exacting standards. But she refused to accept defeat, and used her own innovations. She started mixing local produce with imported ones. After a lot of trial and error, she finally zeroed in on the right recipe. The next step was to open a store, but she was all of 23 years of age, and completely inexperienced. In December, she rented a two-storeyed place in Parel, renovated it and by March 2010, she had started operations. She loaned a capital of ₹10 lakh from her family. She set up a counter at a Worli salon, but landed her first real break when the Lower Parel outlet of Good Earth, a lifestyle store, offered her space. Soon, a second outlet came up at the Palladium mall. In March 2013, Le 15 opened in Bandra, and by then Le 15 Patisserie had come to be known as the best outlet for red velvet cupcakes. Her foray into baking, however, is not exactly accidental. She was introduced to it by her aunt and was also taught how to make brownies at the age of six. “I continued to bake for friends and family. Every weekend I would make goodies and take them to school,” Pooja says. And the fact that she was raised in a family obsessed with food, only shaped her passion. Her journey may seem like a fairy tale, but she is quick to caution. Being an entrepreneur is not easy, and being a woman makes the journey only more difficult. “Being a young girl in a male-dominated industry was not easy. Even finding suppliers or real estate agents that wanted to work with me was tough. As the years have gone by, the challenges keep changing — from day to day operations to scaling a business,” she says. But the 'Macaron lady,' as she is fondly referred to, refuses to see it as a disadvantage. “I believe you choose to see a situation as advantageous or disadvantageous. For any business, there are certain challenges while setting up. I think being a woman makes me a better and more intuitive leader,” she says. Apart from baking, she has also turned her attention to writing. Her first book, The Big book of Treats, won the second place in pastry at the World Gourmand Cookbook Awards. All we can say is, thank goodness she walked into that store for macarons!